Railway electrification works in Northeast Frontier Railway in various sections is expected to complete by March next. 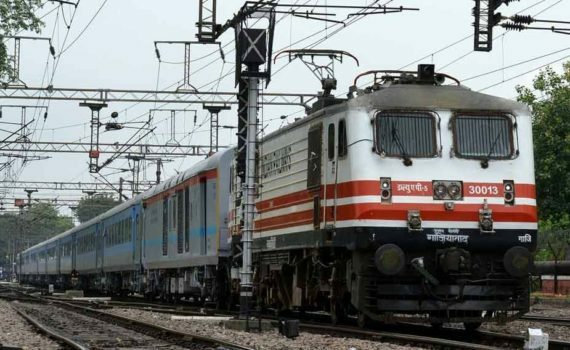 This was stated in a press release issued by the chief public relations officer of Northeast Frontier Railway (NFR) Pranav Jyoti Sharma on Wednesday. The release further stated that a meeting to review the progress of the undertaking was discussed. The meeting was attended by Sanjive Roy, GM/NFR, Ratan Lal, GM/CORE, Divisional Railway Managers from Katihar, Alipurduar, Rangiya and Lumding Divisions apart from other senior officials from RVNL and CORE. The meeting also pressed for speedy implementation and removal of bottlenecks. Furnishing a detail on the project, the targets set for 100% electrification is set to complete by March 31, 2019 with a total cost of Rs. 2,542.62 crore. The entire mainline was segregated into different sections for speedy implementation of work, the release also said. Works are being implemented by CORE (Centre for Railway Electrification) and RVNL (Railway Vikas Nigam Limited). Section from Mukuria to Raninagar Jalpaiguri including New Jalpaiguri yard (597 track kms) are being done by CORE. From Raninagar Jalpaiguri to Sarupeta (259 track kms) are being done by RVNL. Work of New Bongaigaon – Jogighopa & Guwahati – Narengi portion will also to be done by CORE.